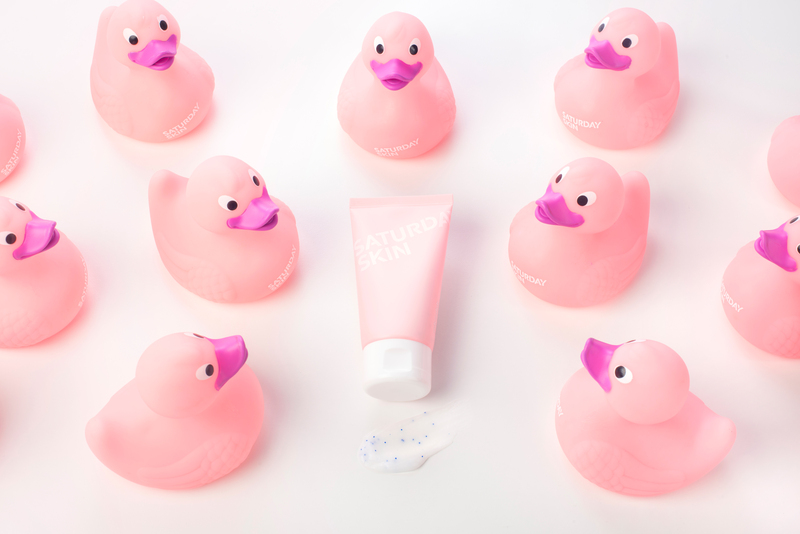 When you come across the girly, pastel-coloured packaging of beauty brand Saturday Skin on Sephora Singapore’s bright and shiny shelves, you wouldn’t be faulted for thinking: Just another one made to catch the Millennial’s eye? With its snappy font and unassuming branding, Saturday Skin belies its serious and traditional South Korean heritage. The origins of the brand stem from the Chaum Wellness Centre, which is probably the best-kept beauty and wellness secret of the creme de la creme of Korean society. Chaum is known for combining the latest anti-ageing technologies (that tap on anything from gene analytics to stem cell-banking) with traditional Korean medicine techniques, to improve the quality of its clients’ lives and of course, their beauty. Clearly, the fees at Chaum are pricey. Apparently, membership fees start at US$55,000 a year, and a sculpting and lymphatic massage can go up to US$1,000 per session. But thankfully for you and me, you could get your hands on some of the goodness from Chaum at Sephora. Founded by beauty industry veteran Sidney Beck, Saturday Skin’s formulas are made with Chaum’s proprietary Cha-7es Complex, a peptide blend that promises to treat all signs of skin-ageing such as lines, uneven complexion, spots, lack of firmness, etc. Manufactured in South Korea, the products are also made without sulphates, parabens and artificial fragrances. “Our bio-tech background, knowledge of the human body, and extensive network of health practitioners helps us amp up our formulas,” says the brand’s spokesman. Founded in 1960, Chaum’s parent company CHA Health Systems is a network comprising of 15 hospitals and clinics, as well as 27 health and research institutions. Interestingly, despite Chaum’s extensive range of anti-ageing to-the-moon-and-back remedies, the Saturday Skin regime is a surprisingly effortless range of hydrating, brightening masks and serums. Prices start at a reasonable S$9 for a sheet mask, to S$69 for a jar of cream. And its bestselling Wide Awake Brightening Eye Cream (left) which is often sold out, is priced at just S$66. For sure, we will be beauty road-testing these soon.